When I finally spoke with Dom over the phone, I was struck with envy in the form of two thoughts: “Man, I wish I had a cool accent” and “If only I had this guy’s enthusiasm and drive.” Dominic Phipps is an Englishman who uses a marketing brain and a cycling soul to run a Creative Project Management business that operates mainly with bike and action sports industry clients. He is an adopted local of Bend, Oregon and spends his free time riding bikes and nurturing his brain-child, The Best of Both bike race. The Best of Both is a dual-discipline event inaugurally scheduled for the 16th of June this year. 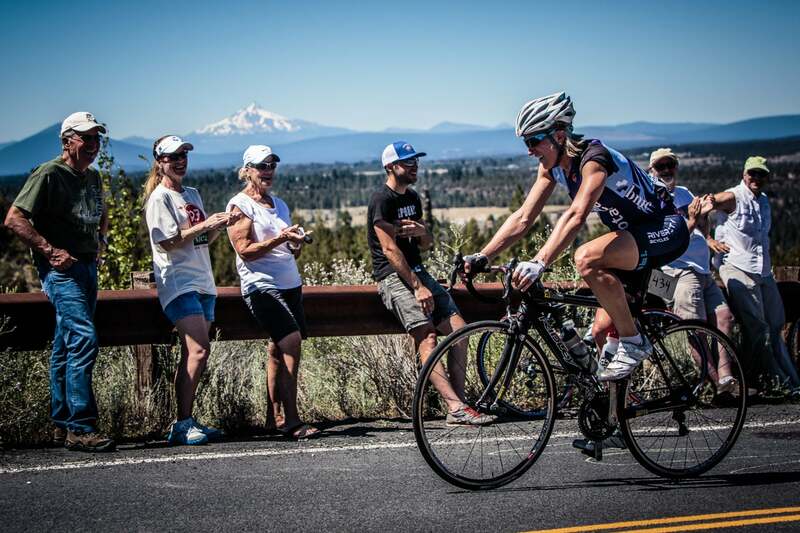 Riders will compete on 62 miles of rural Oregon pavement before switching to 23 miles of famed Bend singletrack. As a former road racer with roots in mountain bike racing, the idea of a road/mountain event has unearthed a child-like excitement within me. I had always joked that I wished I could train on the trails and race on the road, and now it seems my dream is becoming reality, if only for a single day this June. And so the idea for the Best of Both was born from a friendly rivalry over a few post-ride beers, but the seed that was planted in the pub that night seemed doomed to remain dormant. Within a few short weeks, Dom was offered a job elsewhere and had to leave the area before ultimately moving to the United States. As most brilliant ideas do, though, the idea for the Best of Both was hard to shake. Dom carried the idea in his back pocket for a few years as he navigated his new life in the states. Occasionally he would share the idea with fellow riders and was always met with positive feedback and excitement. When he finally arrived in Bend, he saw the bike-centric community, world-class trail network, and visually stunning road riding for the opportunity that it was. He had found the place. Throughout the planning of The Best of Both, Dom was time and again met with positivity and encouragement that exceeded his expectations. The town of Bend is a uniquely bike-friendly place. The locals in Bend are no strangers to road bike racing, as the town has hosted the iconic Cascade Cycling Classic for years, and the mountain bike trail network surrounding the town was built solely by a tenacious community of dirt-devils who spend just as much time maintaining trails as they do riding them. Because of this strong community, Bend businesses were eager to jump on board and help with the planning and funding of this race. 10 Barrel Brewing, Knight Composites, Argonaut Cycles, and Picky Bars join with the German company Canyon Bicycles to help make the Best of Both a reality. Now that we understand the heart and soul behind The Best of Both, let’s take a look at the course. The road portion, which includes an ample-but-manageable 3,500ft of elevation gain, begins at the Wanoga Snow Park staging area and heads out from Bend toward Mt. Bachelor. Racers then quickly dive into the rural pine-forest roads surrounding the mountain to navigate Bend’s stunning volcanic lake-country. 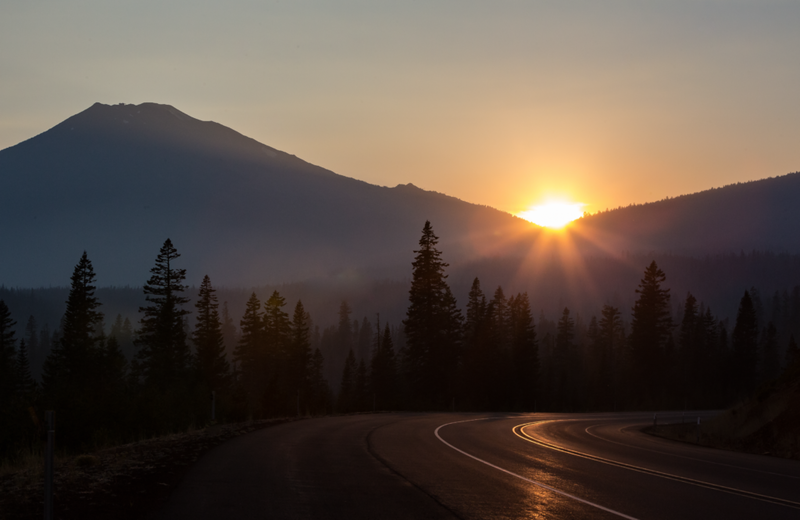 Depending on how focused they are on the road ahead, racers will take in stunning views of lakes, streams, forest, and the snowy volcanic peaks of Oregon’s iconic Cascade Mountain Range including Broken Top and Sisters. The road course tops out near Mt. Bachelor at an elevation of 6,400ft before descending back to the staging area. 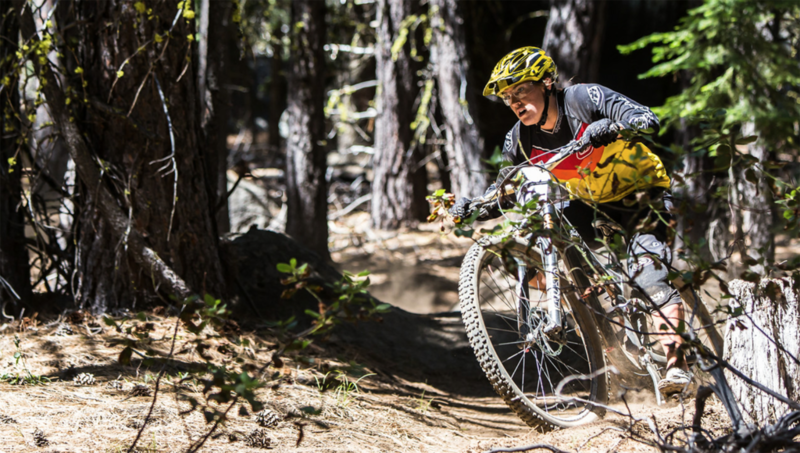 Once the 62 road miles are completed, racers will swap to a trail-friendly bike and head into the Deschutes National Forest for 23 miles of diverse and enjoyably challenging singletrack. The entirely-singletrack route includes a climb onto a butte, technical rocky downhill, flowing bermed-out turns, and a hefty dose of climbing to the finish line back at Wanoga Snow Park. The trails are all impeccably maintained by the aforementioned volunteer trail crews, and I’ve been assured by Dom that they will sufficiently whet your appetite for the remaining hundreds of miles of trail around Bend if you choose to stay a few extra days after the race and explore. In regard to bike choice, Dom says you’ll ideally you’ll want to use a road bike for the road portion and a trail or enduro mountain bike on the single track, but the entire race would also be possible on something like a rigid 29er cross country bike if you are an expert bike-handler and are up for a bit of a wild ride on the trails. The race is OBRA sanctioned and $5 day-licenses will be available if you are not an OBRA member. The event offers a refreshingly simple choice of categories: take on the best of the best in the Men’s or Women’s Pro category, partner-up for a Relay or Couple’s race, or enter the Challenge Ride to enjoy the beautiful terrain without that pesky pre-race anxiety. Once your race or ride is completed, head on down to 10 Barrel Brewing for the afterparty where the race winners, King, and Queen of the Mountain and Trail will receive their awards. If this article has piqued your interest, check out https://www.racethebestofboth.com/ and consider bringing the whole family and adding on a few days of vacation after the event. There are hundreds of miles of trail and road to be ridden, lakes to be fished, river to be floated, and an ambitious food and drink scene that pairs well with the surrounding wilderness. Whether you stay for a day or a week, I think The Best of Both is going to be an event that will go down in Bend history and I hope to see you on the starting line. Follow this link for registration: https://www.bikereg.com/the-best-of-both and, if you are a PELOTON reader, use promo code PELOTON10 to save 10%.